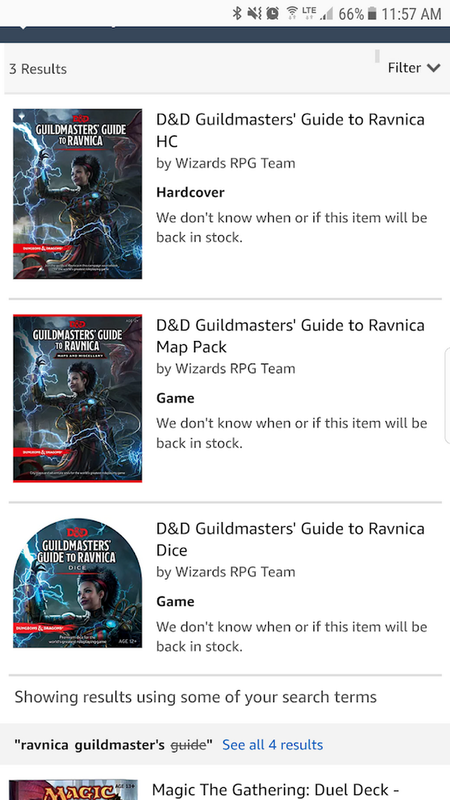 In November we will get a hardcover setting book for DnD 5E featuring M:tG's Ravnica plane, as well as a map pack and dice. Today, on the DMsGuild, the Wayfinders Guide to Eberron was released in PDF was released. It's a great overview of Eberron for 5E, written by the setting's creator, Kieth Baker. It retails for $20. 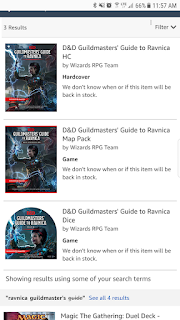 DnDBeyond is also selling the Wayfinder content for $20. The Unearthed Arcana for today features Races of Eberron and I can confirm they have the same stats as what is found in the Wayfinders Guide. In my personal opinion, next year we will get a hardcover product featuring the finished races, psionics, and the artificer class for Eberron. If you are unsure about buying the PDF, don't be. It's excellent and I hope a Print On Demand option becomes available. I really wish they would do the same type of product for the Forgotten Realms. 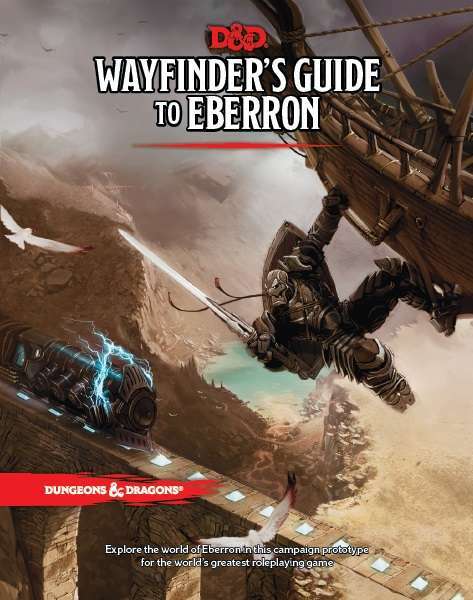 In my opinion, the Eberron PDF is a much better product than the Sword Coast Adventurer's Guide.